Lost text messages could be a disaster for every phone user because text messaging is a common way for communicating with others. Therefore, you'd better backup your Samsung text messages beforehand. But if unfortunately you have already lost them, you are no need to panic. As long as you haven't sent or received new text messages with your S8, the lost text messages haven't been overwritten, you still have the chance to get them back. 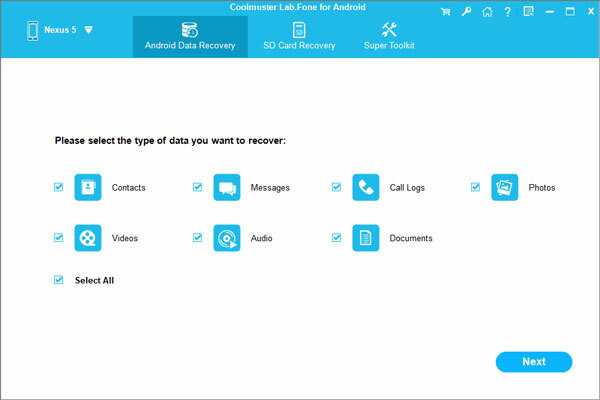 Samsung Data Recovery program empowers you the ability to recover deleted, lost and formatted text messages from Samsung Galaxy S8, as well as other Samsung phone models like Galaxy S9+/S9/S8+/S8/S7/S6,Note 6/5/4,A9/A8/A7,etc. 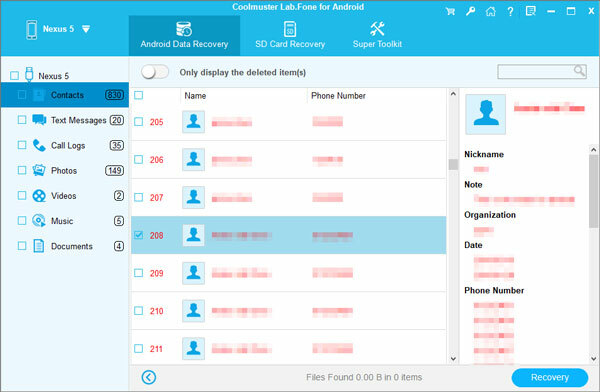 What's more, this professional data recovery software also enables you to retrieve deleted and lost contacts, call history, photos, videos, music, documents and more from both internal memory and SD card in your Samsung phone. How to Restore Lost Messages on Samsung Galaxy S8/S8 Plus? To start with, download, install and run the Samsung Data Recovery program on your computer, then make a connection between your S8 device and computer via USB and wait for the program detecting the phone. There are "Contacts", "Messages", "Call Logs", "Photos", "Videos", "Audio" and "Documents". Here you need to select "Messages" and then click "Next" button to go on. After all the lost text messages have been scanned out, you can preview and tick off the files you want to get back. Finally, click "Recover" button to save your lost text messages on your computer.